Decorate your garden, patio or party room! There is something special about festoon lights. But old designs were flawed with flex that perished in sunlight and waterproofing that was frankly unsafe. 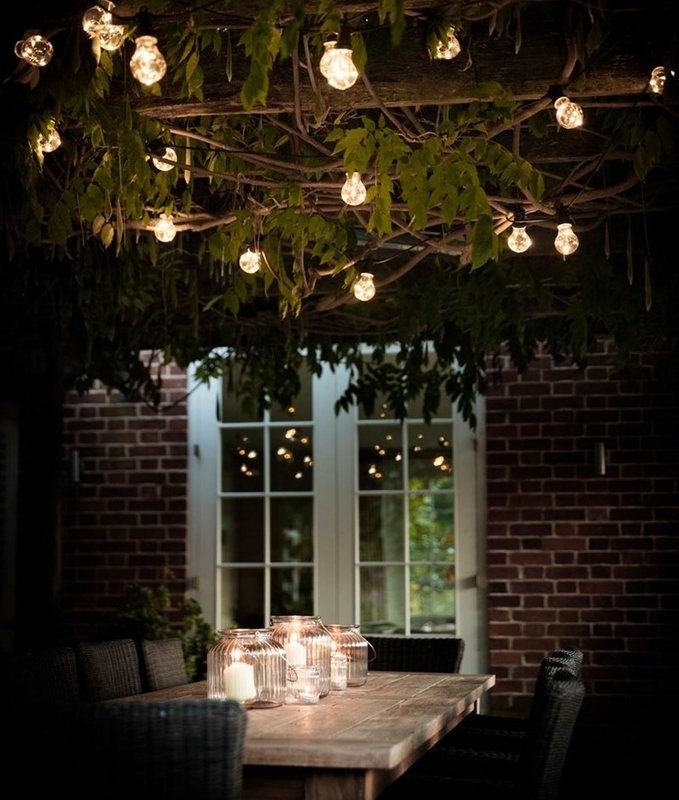 This festoon lighting uses round rubber cable and IP44 rated lamp holders. Easy to use, easy to install and great for those who harp back to eating salt and vinegar crisps in the pub garden with a bottle of coke and a paper straw! One thing we try to offer is choice and this product is therefore available to you with choice of lamps and colours. 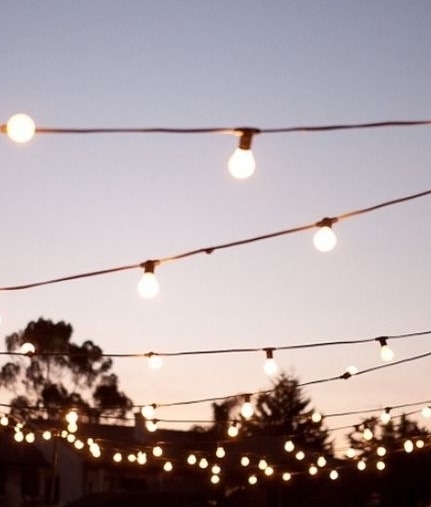 You can pick your festoon lights to come with the traditional painted lamps in pastel colours or white opal lamps. Both are 25 watts and dimmable. Could these be wired (by an electrician) to be dimmable? is the cable and holder capable of this. Could I also install LED bulbs? The Festoons party lights can not be dimmed or used on a dimmer. LED lamps can be used instead of halogen if required. How large are the actual lamps? They have a diameter of 60mm and are approx 110mm in height. Are they glass? May seem an odd question but do they look brightly coloured when they are not illuminated? These are harlequin lamps which are coloured glass, unlike the cheaper painted ones that are on the market. So they do look brightly coloured when they are not illuminated. These lamps do give off some heat, therefore wouldn`t be suitable if customers can reach them and touch them. 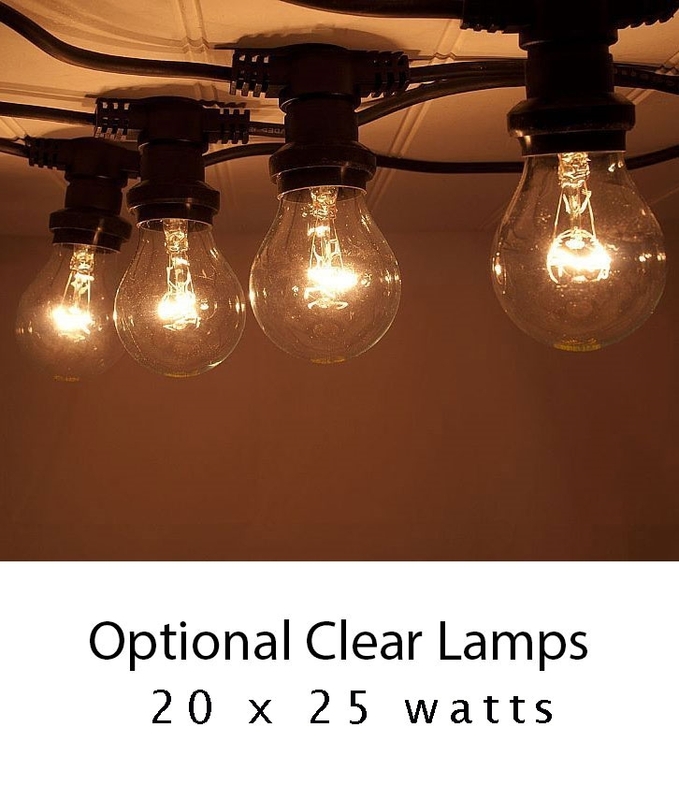 Are the bulbs standard house bulbs and are they exactly like the ones in the picture. Also can the set be plugged directly into a standard household plug? 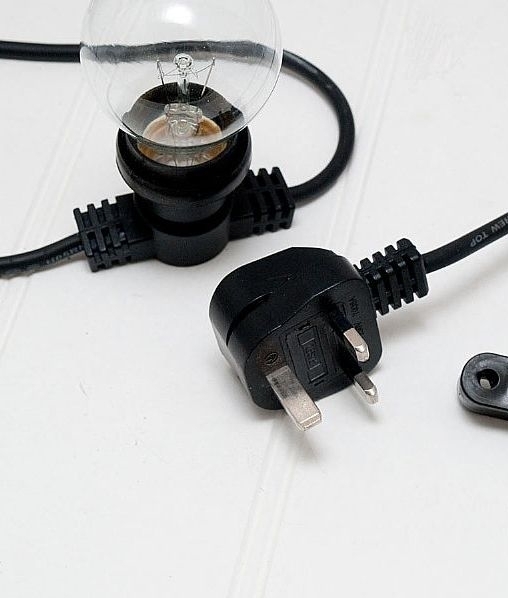 Yes the lights can be plugged straight into a standard household plug socket. 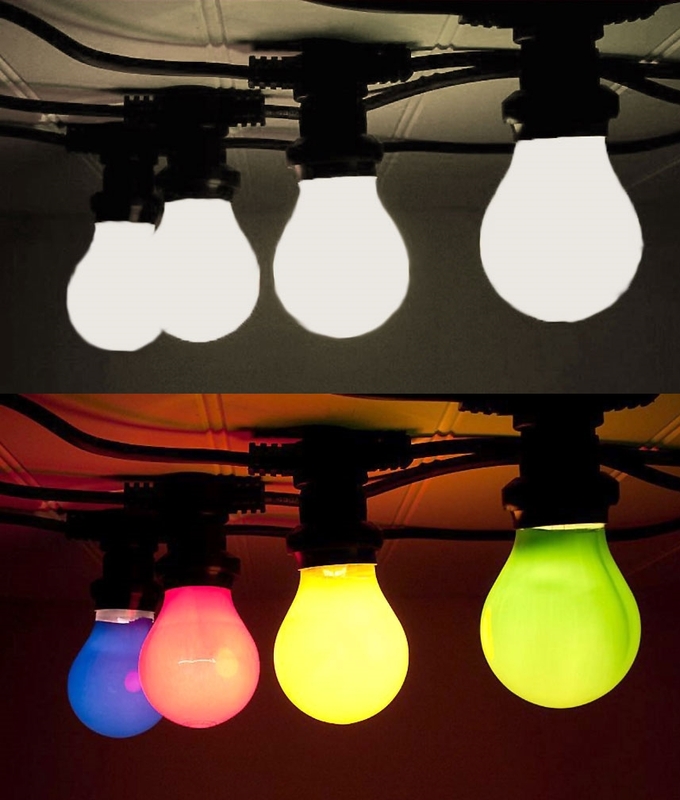 The bulbs are just your standard large Edison screw E27 bulb up to a maximum of 25 watts. We do stock replacement bulbs if you did require them.